Back when my kids were really little, they used to ask me to make them ABC’s worksheets so that they could practice writing their letters. I guess back at the age of 3-5, kids are just so hungry for knowledge that even self-imposed homework is fun to them! (If only they were so enthusiastic about learning now, eh?!). 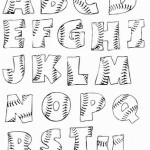 These ABC’s worksheets are perfect for preschoolers and Kindergarteners. They each have 6 lines of letter practice for both capital and lowercase letters. 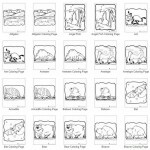 The pictures are so cute, too, and give the kiddos an idea of the sound that each letter makes. (It also means there’s a little something to color on these worksheets, allowing them to double as both coloring sheets and writing practice!) Reading and writing are such important tools for expanding our kids’ creativity and their ability to communicate effectively in life, and doing activities like ABC’s worksheets are a great foundation piece to the building needed skills. Of course, we see it as an educational process, but for the kids, it’s just plain fun. Print off one at a time as you’re practicing a particular letter, or print out the entire set and have them ready to go at a moment’s notice. If you get out your three-hole punch, you can even create a binder where your kiddo can save them into a cute little collection as a gift for a grandparent or other special person. Now help your kids learn their letters in alphabetical order with our Alphabet Dot to Dot book!